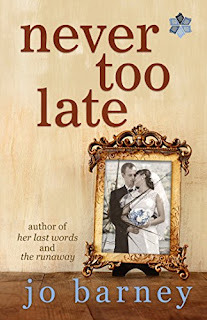 Decades ago, a shotgun wedding locked Edith into a life with a husband she’s not sure she ever loved. Now, at a ‘certain age,’ she feels like a ghost in her own life, wondering where all this came from: the scornful husband, the mercenary brood of grandchildren, the well-meaning but controlling daughter-in-law. Then one Christmas morning Edith wakes to find her husband dead, and the role she played for so long crumbling. Soon questions arise about her husband’s death, and papers discovered in his pockets send Edith unraveling secrets of the man she thought she knew. Edith’s son Brian is the focus of her life, but he may not be as perfect as she thought. Revelations that he might be cheating shock her. As Edith investigates the mysteries of her family, she may just find who she truly is. 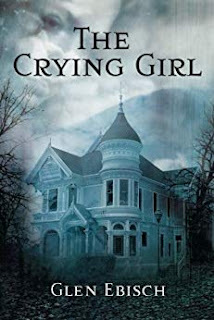 When Hazel Wilmot calls Amanda Vickers, her former student and the editor of Roaming New England Magazine, with a story idea about a haunted New Hampshire inn, Amanda is intrigued, but intrigue soon turns to shock. Before Amanda can travel to New Hampshire in time, Hazel dies suspiciously in a fall while exploring the abandoned inn. Amanda quickly decides to investigate her death. Was it accidental or due to something more sinister? Accompanied by Marcie Ducasse, her young associate editor, Amanda travels to Shadsborough, New Hampshire, a quaint New England town hidden away in the White Mountains. Though its view of the mountains is picturesque, Shadsborough is a small town gripped by fear. And it seems to be catching as Marcie and Amanda discover that neither Hazel's death nor the stories of the ghostly crying girl at the inn are exactly what they seem.